Disney Extinct Attractions: Fantasy in the Sky and Disney Dreams! Welcome to Disney Extinct Attractions. My name is Cole, and I’ll be your guide on today’s journey into some fireworks shows from yesteryear. This past week, Disney announced that Redd Rockett’s Pizza Port at Disneyland would be transforming into Pizza Planet from Toy Story during Pixar Fest, which begins on April 13th. 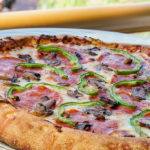 Pizza Port is already one of my favorite restaurants at the Disneyland Resort (especially the chicken fusilli), so I am really excited to get back to Disneyland this summer and see all the cool changes. In fact, I feel like Pizza Planet may stick around for quite awhile after Pixar Fest ends, just as the Red Rose Tavern is still around today in Fantasyland. The highlight of Pixar Fest is set to be the fireworks show, Together Forever – A Pixar Nighttime Spectacular. 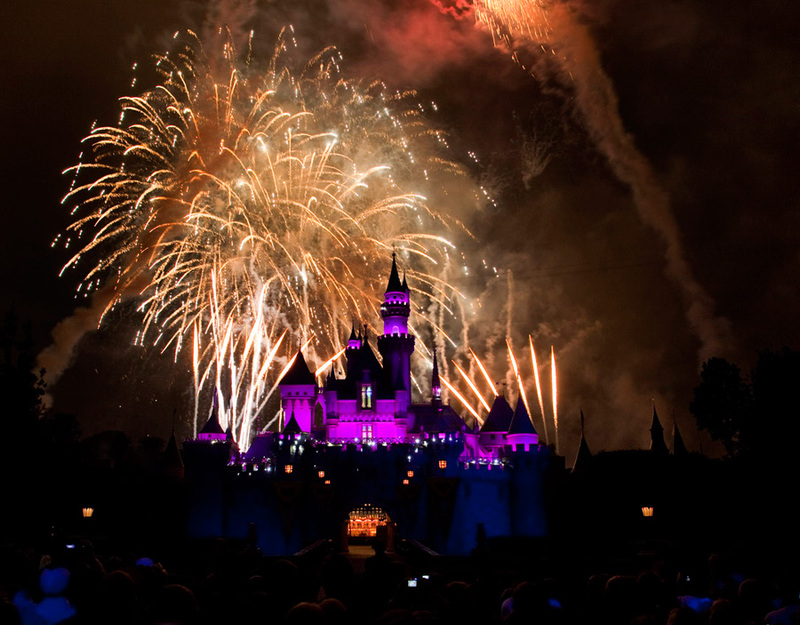 Disney is known for their amazing firework shows, a trend that began in 1958 with Disneyland’s first ever fireworks show, Fantasy in the Sky. Walt himself had a hand in the creation of Fantasy in the Sky. When the park first opened, there was no nighttime entertainment, and Walt wanted guests to stay in the park longer. 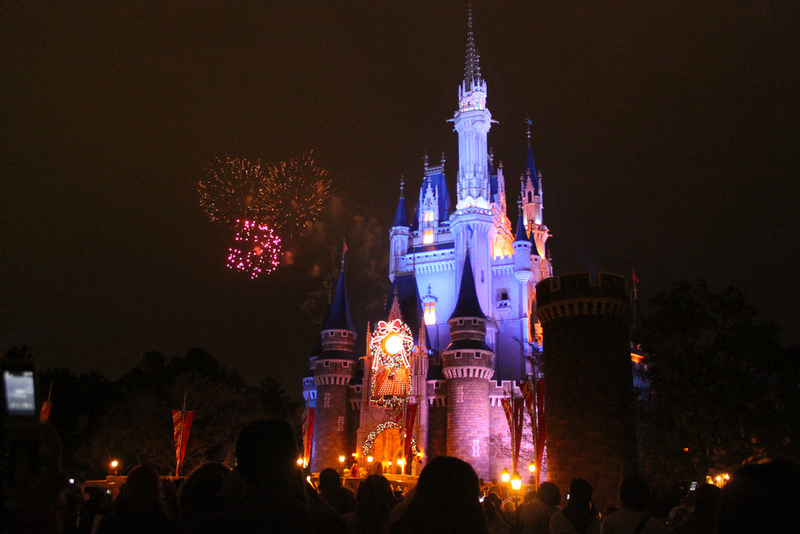 Thus, the traditions of nighttime fireworks in the Disney Parks began, with it continuing to this day. Fantasy in the Sky has a long, storied history with Disneyland that I’ll quickly lay out for you right now, so get ready for a bit of an information overload. 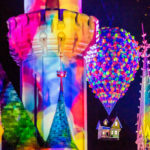 Fantasy in the Sky was a part of Disneyland until 2000 when it was replaced by Believe for the park’s 45th anniversary. After a 15 year hiatus, Fantasy briefly reappeared from January 9th, 2015 until May 20th, 2015 to bridge the gap between Remember…Dreams Come True and Disneyland Forever. Then, after Disneyland Forever‘s run was complete, things went full circle when Fantasy in the Sky returned from September 9th, 2016 until January 29th, 2017 when Remember…Dreams Come True returned again. I thought it was really cool that Fantasy in the Sky managed to bridge the gap between two different fireworks twice, but in opposite ways. Now if you want to check out the show for yourself, just click below. One thing you may notice about Fantasy in the Sky is how short it was. It barely lasted five minutes, which was totally understandable when the attraction first opened. In 1958, there wasn’t much precedent for grandiose fireworks shows, but today it is extremely underwhelming compared to the shows that we see today. There was some Disney music in it, but almost none of it featured any lyrics, and the show didn’t have a host. Overall, the entire show lacked the flair and polish that we are so used to today from Disney fireworks shows. Meanwhile, over in the Magic Kingdom, the Fantasy in the Sky fireworks had a home from 1971 until 2003. In 2003, the show was replaced by the longtime guest favorite, Wishes. Wishes became such an important part of the Magic Kingdom experience, but Fantasy in the Sky still manages to make an appearance every year on New Year’s Eve. I enjoyed the New Year’s Eve version of Fantasy in the Sky a lot more than the regular version of Fantasy in the Sky, primarily because it had a bit more panache. There was a really cool focus on Tinker Bell at the beginning, and it felt more like the fireworks shows that we are used to today. However, I wish that they would begin to use castle projections during the show because the technology is so prevalent today. But overall, it was still an improvement, and Mickey had a small role, which is not something that you often see in Disney fireworks shows. Disneyland and the Magic Kingdom didn’t get to have all the fun, though, as Tokyo Disneyland also had a storied history with Fantasy in the Sky. Just like with Disneyland, here’s a quick rundown of Fantasy in the Sky at Tokyo Disneyland. The show first aired from 1983 until 1988 when it was replaced by StarLight Fantasy. Then, the show briefly reappeared from 1995 to 1996, replacing Stardust Fantasy before leaving for Starlight Magic. (Apparently, Tokyo Disneyland had a big thing for adding “star” to their fireworks show titles.) Fantasy in the Sky then had one more farewell run, replacing New Century in the Sky starting in 2001 and sticking around until 2003 when Disney Magic in the Sky took over. The final park to receive Fantasy in the Sky was Disneyland Paris, with the fireworks show debuting in 1993. The show lasted there until 2005 when Wishes took over just like it did in the Magic Kingdom. But a few years later, Disneyland Paris was celebrating its 20th anniversary and decided to create a brand new fireworks show called Disney Dreams. 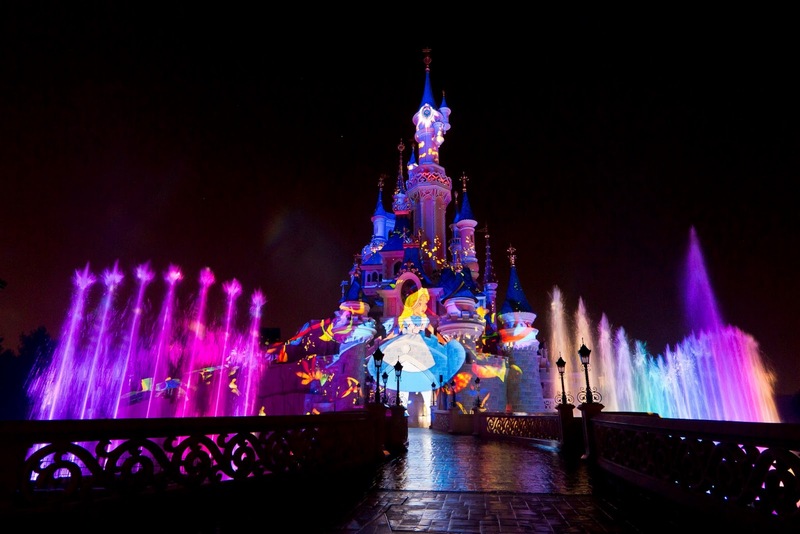 Disney Dreams utilized projection mapping to an awesome extent. 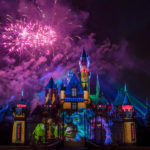 I think castle projection mapping is one of the coolest technologies that is employed within the Disney Parks, and I get excited whenever I see it in a fireworks show. Disney Dreams was hosted by Peter Pan, and I have to say, I really loved this show. When I watch fireworks shows, I look for the spectacle of fireworks and projection mapping, and this show even added water fountains to the mix. Every part of the show was just a lot of fun and really represented everything that I look for in a Disney fireworks show. Plus, I thought it was really cool how much French culture was involved, as well. 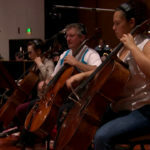 Disney Dreams featured Beauty and the Beast, Ratatouille, and The Hunchback of Notre Dame. Plus, every character from these movies spoke French themselves, leading to an interesting combination of English and French that is actually very common in most Disneyland Paris shows. Luckily, Disney Dreams also got into the Christmas season and had its own special show to celebrate the holiday. The Christmas version of Disney Dreams is actually one of my favorite Disney holiday shows. The show had a lot of entertaining segments, though some of them did go on slightly too long. But with Toy Story and Frozen both involved, and the usage of French and English, this show was a whole heap of fun. Overall, I think today’s article was a great example of how much the Disney Parks fireworks shows have evolved over the years. It’s safe to say that Disney Dreams is a more impressive show than Fantasy in the Sky, especially when looking at the entire picture. However, one cannot discredit Fantasy in the Sky for all that it did to bring us the shows we see today. Well, now our trip to yesteryear is complete, so here’s your look at next week’s journey. 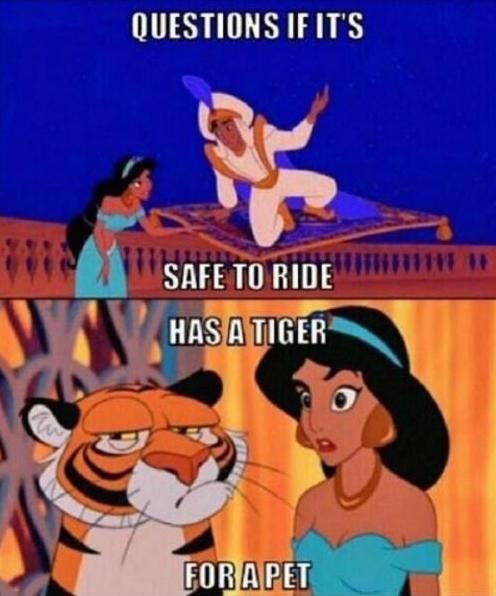 This movie had a show based on it, and very nearly another attraction as well. This show appeared in the Parks for less than a year. The film these attractions were based on debuted under Michael Eisner.